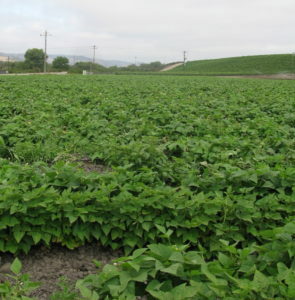 Sergio Medrano has a 54-acre farm in Los Alamos, California, where he primarily grows strawberries and beans for wholesale, and has a large plot with a variety of vegetables to sell at local farmers’ markets. The success of his farm and innovative techniques is evident through the growth of his operation from just 4 acres in 2000. As a professional agricultural engineer and farmer in Mexico, Sergio brought a wealth of experience and ideas to his new farm. With an interest in research, Sergio has experimented to develop high quality crops, conserve resources, and cut costs. As a small farmer, cost cutting is an important aspect of a successful operation. Sergio has found that while cutting costs he is able to conserve resources on his farm- by reducing water usage, increasing soil health, and reducing the use of expensive inputs. These practices have allowed his farm to grow in size and efficiency. Sergio Medrano’s farm started at only 4 acres, and he quickly realized that it was hard to compete in the market at that size. As Sergio explained, the larger farms have the luxury of owning all the necessary equipment for an operation, and as a small farmer he felt renting equipment set him back in the season. Sergio now makes his own rows and lays the bed coverings using his small tractor, which allows him to start earlier in the season. Sergio also noted that small farmers have a hard time getting financing for land and inputs, and because of that, saving money had to be a priority. Due to his interest in research, Sergio is constantly trying to improve his operation by conducting on-farm trials to compare strawberry and bean varieties, fumigated vs. non-fumigated plots, irrigation techniques, integrated pest management, and nitrogen use, among other things. These trials, as well as his 2010 EQIP grant and his partnership with the Cachuma Resource Conservation District, have allowed him to discover better management practices and develop a more successful farming operation. Through the years, Sergio has developed a successful management program for increased conservation and economic savings. Water is conserved through use of drip irrigation after planting. Sergio has reduced his use of herbicides, fumigants, and nitrogen fertilizer, and will wait to fumigate strawberries until it is necessary. To conserve soil and maintain nutrient levels, Sergio rotates his crops, applies compost, checks soil nutrient levels, and plants grass in between rows to reduce erosion. Additionally, Sergio has leveled his fields to reduce run off. Sergio prefers to use persimilis, a beneficial insect, which he grows on his own, to treat pest problems in his strawberry fields. with new technologies and continue his on-farm trials so that he can continue being an exceptional land steward and successful farmer. In addition to increasing his conservation practices, Sergio is trying to add a few organically produced plots. 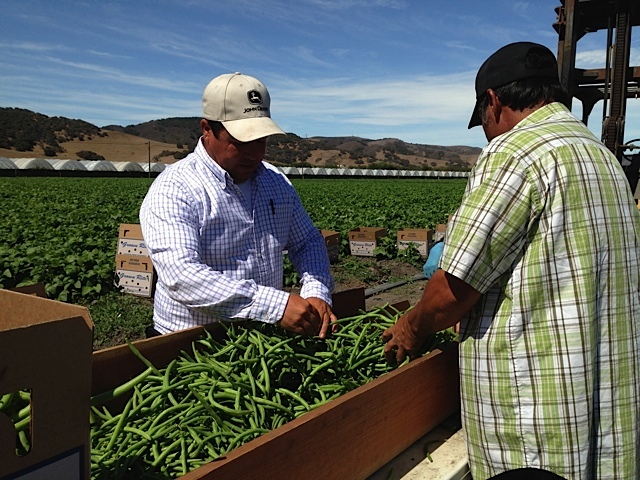 Sergio has been a resource for many farmers in the area and a great example for NRCS and RCD.